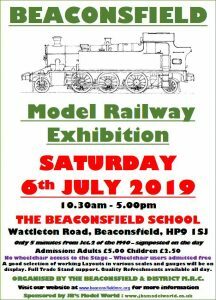 Our 2019 exhibition will be held on Saturday 6th July at our usual venue of the Beaconsfield School – please refer to the poster below. We aim to have at least 20 Layouts on show and a comprehensive selection of Traders present. 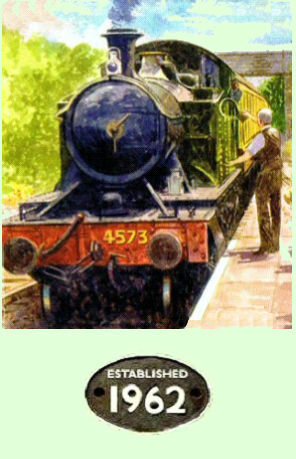 A list of layouts and Traders confirmed so far is shown below the poster. Further updates will be posted here in due course, but for now make sure the date is in your diary.